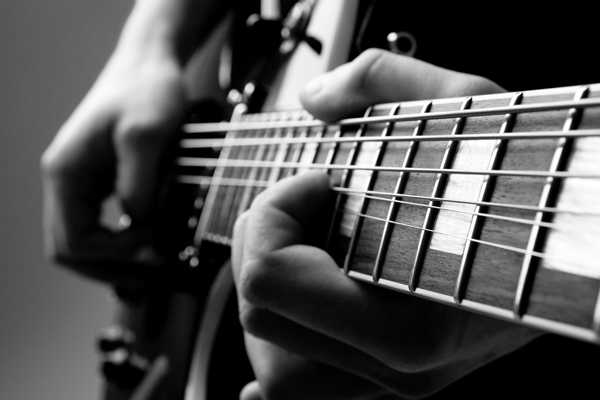 Our Introduction to Guitar Class is our free offering to the Columbus community. Is Grandma’s old guitar gathering dust in the closet? Maybe you received one as a gift and just haven’t got around to learning to play it yet? This is a great opportunity to get started! All ages are welcome, but children under 10 should be accompanied by an adult. The class is about an hour long and held in our Clintonville music studio at 4601 N.High Street. You’ll learn how to tune the guitar and strum a couple of chords. All you need is a guitar (be sure it has all 6 strings! ), a love of music and a little patience. See our Events Calendar for your next opportunity to participate.